Last weekend I headed back to my parents’ to celebrate one of my best friends’ 30th birthday (we’re getting old! ), so this week’s Friday favourite goes to one of my favourite restaurants in my hometown of Lytham St Annes. To celebrate my friend’s birthday, she had booked tables for about 40 people at The Olive Tree Brasserie, a gorgeous Greek restaurant situated in St Annes town centre. 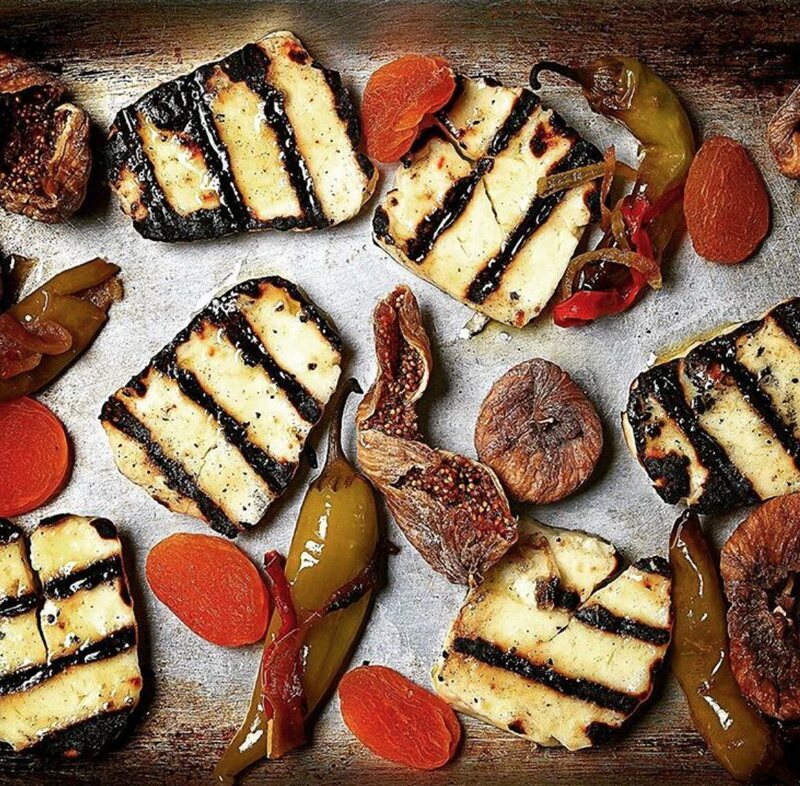 The restaurant is cosy, chilled and atmospheric, and the food is delicious – between our group we enjoyed a wide range of meals from swordfish to lamb to halloumi. There was also a great band called Flip playing, so we even got to have a dance at the end of the night. The Olive Tree also has restaurants in Preston and Chester, so if you’re ever in any of those areas I’d definitely recommend a trip. 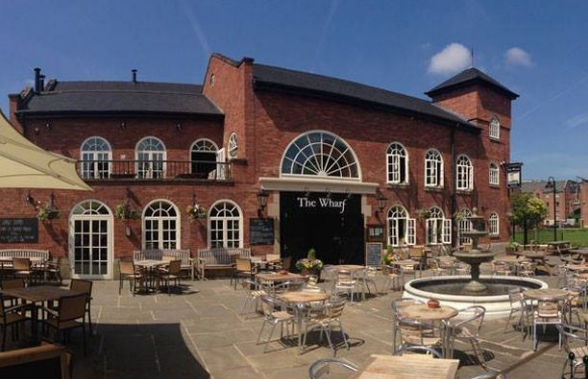 With the incredible weather in Manchester during the weekend and earlier this week, it would be rude not to go to a pub garden and soak up the sunshine – and despite living within a 30 second walk away for almost a year, I hadn’t yet visited The Wharf, so it felt like the perfect opportunity! The pub/restaurant has a huge outdoor seating area looking over the canals of Castlefield and views of the Hilton, so of course it was super busy with everyone in good summer spirits, making an entire free table like gold dust – though we did get one eventually! I’m yet to try the restaurant but the decor inside is equally as beautiful – it feels like a classic chic countryside pub – so I’ll definitely be back to my newly discovered local to try the food. I recently went for a bottomless brunch at a lovely restaurant/patisserie, Villandry in Fitzrovia, London, which definitely deserves a spot as my Friday favourite. Breakfast food is one of my favourite things, as is bottomless prosecco, so I’m not sure why it took me so long to get round to attending a bottomless brunch, but my friends and I made a good choice in choosing Vilandry – it was such great value and just the most fun way to start a Saturday adventure in London. 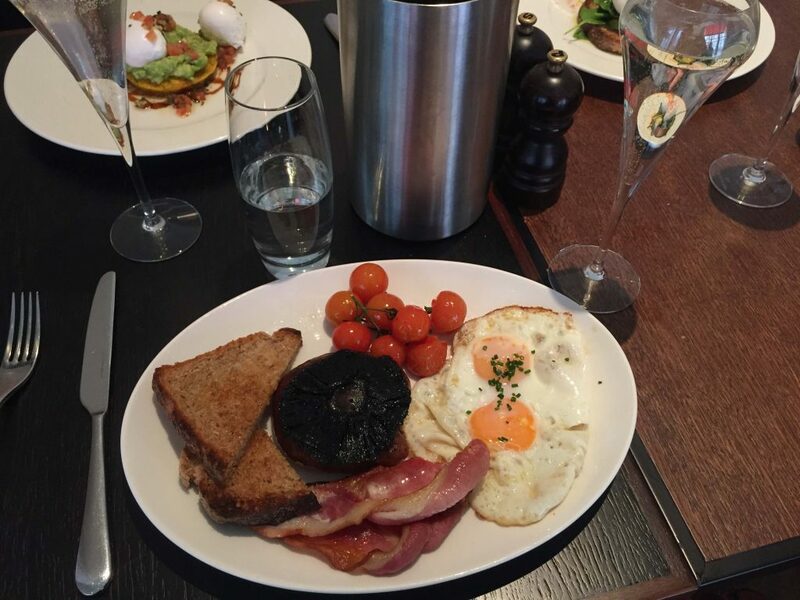 For £35 pounds, we began with a delicious pastry followed by our choice of a great range of main courses, including the usual brunch suspects such as eggs and avocado, but also burgers, fritters and, (my choice) a full English. We were pleasantly surprised to find out that the price also included a choice of amazing looking cake from the patisserie, but then hugely disappointed when we could only manage about one bite of probably the best carrot cake I’ve ever had. The prosecco was kept flowing throughout and the service was lovely, and so the three of us left very happy customers (nothing to do with the bottomless fizz…). This week Line of Duty is back after being promoted to BBC1, so it would be wrong not to dedicate my Friday favourite to it, as it’s one of my favourite TV series! I’m not usually one for a police drama, as they can seem a bit predictable, but as soon as I started watching this, I was hooked! The show follows DS Arnott, who in series one refuses to be involved in a police cover-up and ends up joining the anti-corruption team, and each series sets the scene for a new story, where Arnott & Fleming (played by Vicky McClure) go undercover to lead investigations into police corruption. This series’ main character is DCI Roz Huntley (played by Thandie Newton), and follows the kidnapping of three different women. The abductor is arrested and sent to prison, but Huntley seems to be hiding something and as the forensics don’t add up, DS Fleming goes undercover to investigate. I won’t say anything else for fear of spoiling what was a was very intense first episode. 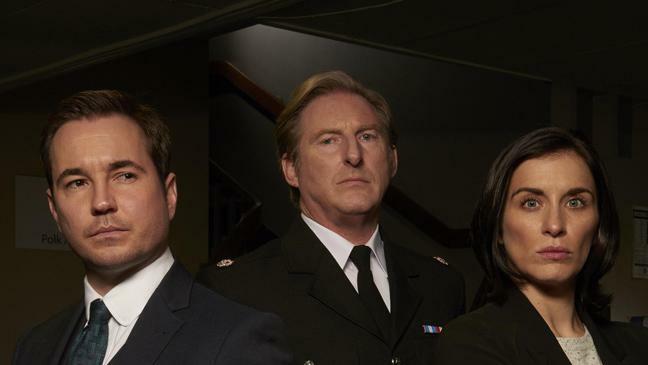 The great thing about Line of Duty is that you can just start watching now, and as each story is different you don’t need to play catch up. But if you do have some time on your hands I highly recommend watching all the series as they were exceptionally good! In recent weeks, I’ve seen a number of influencers wearing pieces from New Look and thinking ‘I have to have that!’ – the collection is so strong at the moment, that I had to pop in this week ‘just for a look round’. I left with this mustard top and this floral midi dress – a style I’ve been looking for for a while. I plan on wearing the dress with black ankle boots for day-to-day looks, and teaming it with block heels for special occasions – it’s the perfect dress for those days where you’re not too sure what to wear (you know the ones – a family member’s birthday lunch, dinner with the in-laws, that kind of thing). The top will be great dressed down with jeans, or tucked in to a skirt and worn with heels for dressed up style. It’s so much brighter than everything else in my wardrobe, but as we approach Spring, that’s no bad thing. There’s so much more I have my eye on, so for this week, New Look has to be my Friday favourite and I’m sure I’ll be back soon!